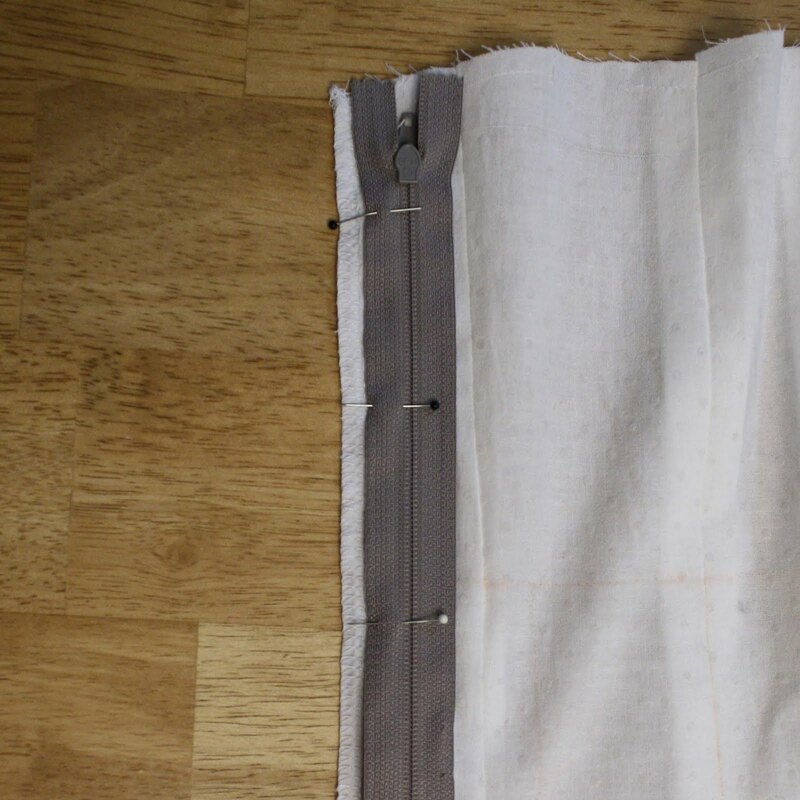 This is how I installed the zipper on the Pleated Rectangle Dress. It’s not so different from how you would normally install a zipper. 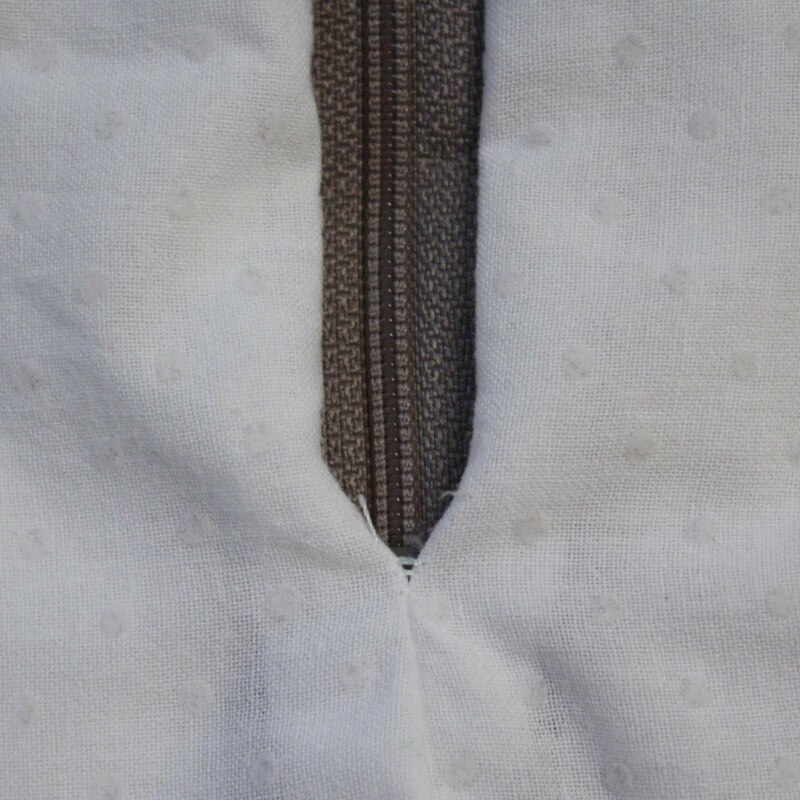 You need to leave the back seam totally open to install the zipper the zipper the way I show you below. It’s also a good idea to serge or zig-zag the raw edges before you start installing the zipper. Start with your dress or skirt edge right side up. Turn the zipper face down on top of the edge. 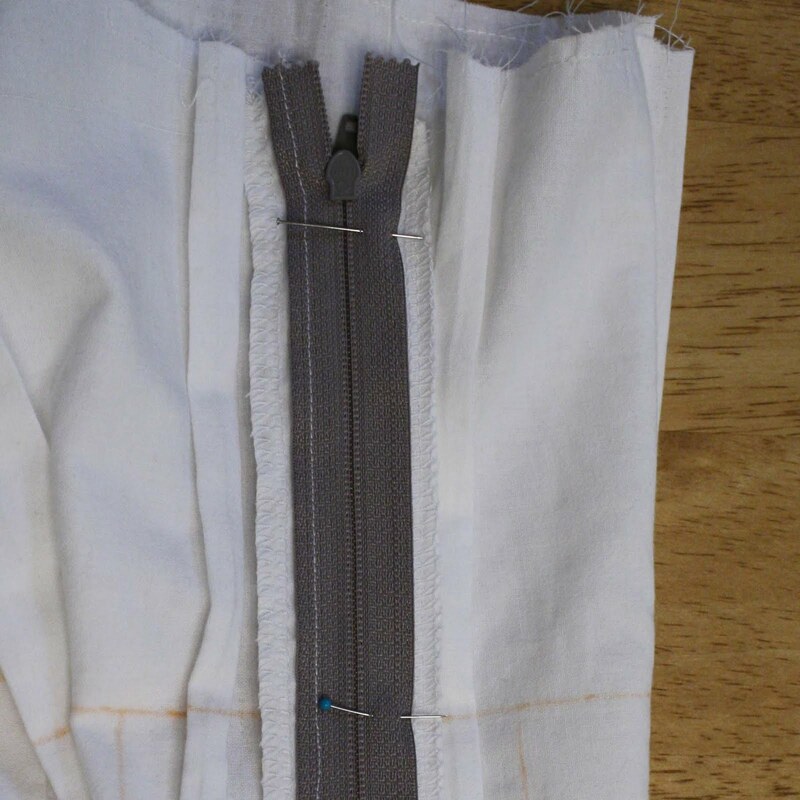 Line the zipper tape up over the seam allowance and pin. 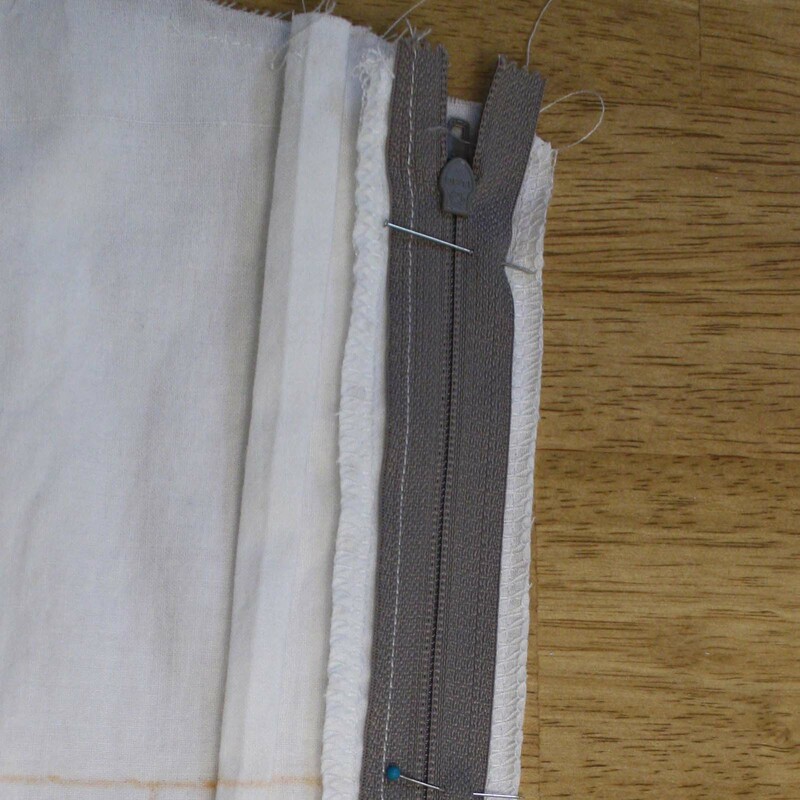 For me, 1/2″ seam allowances meant that the edge of the zipper tape had to come in from the edge of the fabric. Sew this edge in place, about 1/8″ from the zipper tape edge. I didn’t even use a zipper foot to do this. At the very top, you may have to unzip the zipper to sew to the top of the tape, especially if you’re not using the zipper foot. Keep the zipper zipped while you line it up and pin it. Check that important areas to match (in this case my waistline mark, which you can see above) are lining up. 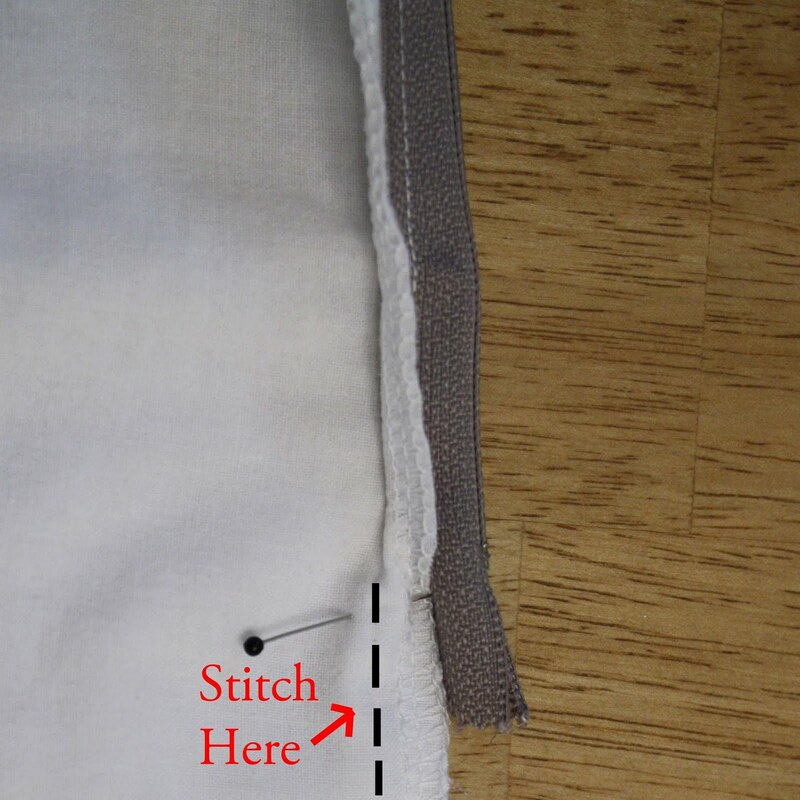 Stitch down the right side of the zipper. Then fold the whole dress/skirt right sides together, with the newly installed zipper folded in half. Starting at the bottom of your garment, stitch up to just past the bottom of the zipper join, without stitching the zipper itself. Make sure to backtack a few times at the zipper area. 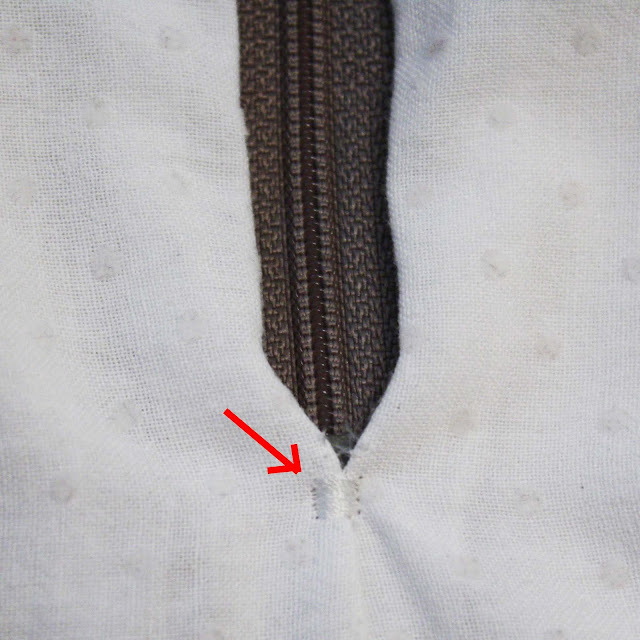 However, the dress fabric is not attached to my zipper at the bottom of that V, leaving a tiny hole. To fix that, set your machine to a long stitch width, and as many stitches per inch as you can, then zigzag just below the V. I used 24 stitches per inch and the longest zigzag setting on my machine. Press your zipper, and you’re done!